Did anyone say “Borat”? (part I) – Welcome to Kazakhstan! Kazakhstan was not considered to be a real place and was little known across the world after its independency was announced back in 1991. 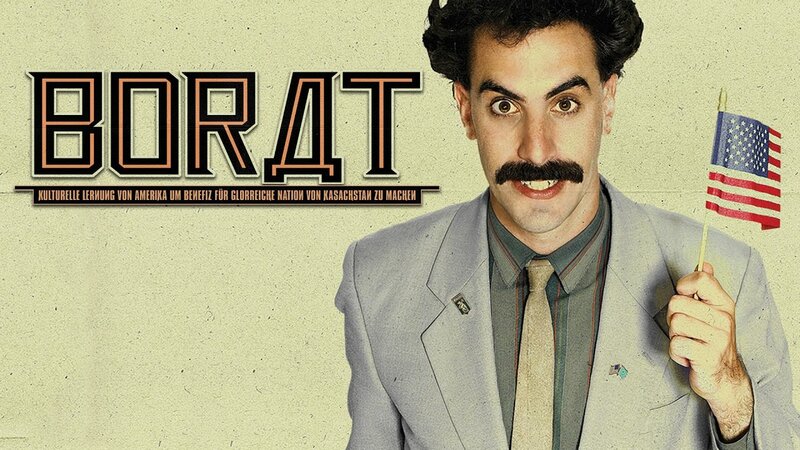 However, since the British-American comedy film “Borat” by Sacha Baron Cohen was screened in Toronto film festival (September, 2006) for the first time, now every second foreigner immediately shouts out “Oh, Kazakhstan-land of Borat!” after having heard the country’s name. Here comes the question. Do these people realize to what extent this mockumentary is authentic? And what was the reaction of Kazakh nation? How it affected the country? First and very interesting thing to know is that none of the directors have been to Kazakhstan. Second, the film was shot in a Romanian village and the name of the main character is, presumably, Romanian. In addition, the language spoken in some of the scenes is Polish. So, I would say, directors chose an interesting mix of cultures for a film about an extremely different culture. Third, the national beverage “kummys” is not prepared from horse urine, but from its milk. And it is a delicacy which is being recognized right now by many foreign scientists to be very healthy and healing. So, as you can understand, there are tons of misleading facts and the other ton of situations which will never be observed in real life. And if you want to know about the reaction of Kazakhs to this film, stay tuned for the next post!